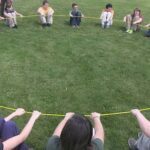 Selkirk Outdoor Leadership & Education (SOLE), Inc. – Immersing individuals in their natural learning environment! 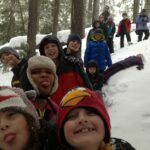 We provide transformational experiences that empower our participants to become active learners and responsible stewards of their community and its environment!Explore > Achieve > Lead. It's what we do. Selkirk Outdoor Leadership & Education (SOLE), Inc. is a licensed and credentialed 501(c)(3) non-profit led by a team of professionals who possess formal education and real world experience to ensure your SOLE Experience exceeds your expectations! 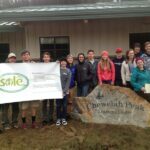 SOLE designs and facilitates transformational experiential and outdoor education programs for key stakeholders throughout the Inland Northwest including individuals, families, groups, schools, school districts, government agencies, and corporations. We believe that everyone can benefit from a SOLE Experience! SOLE utilizes intentional philosophies and methods coupled with evidence-based best practices fostering the opportunity to design and facilitate novel experiential programs for those we serve. From start to finish our purposeful framework and mindful approach ensure that learning transfers beyond the SOLE Experience! Enter your email address to subscribe to SOLE's blog and receive notifications of new posts by email.